Looking for Branding or Web Development? SSAFA are a UK military charity that offer vital support systems to the armed forces community and we were drafted in to support their major campaign, Left Behind, which marked the one-year anniversary of UK troops withdrawing from Afghanistan. 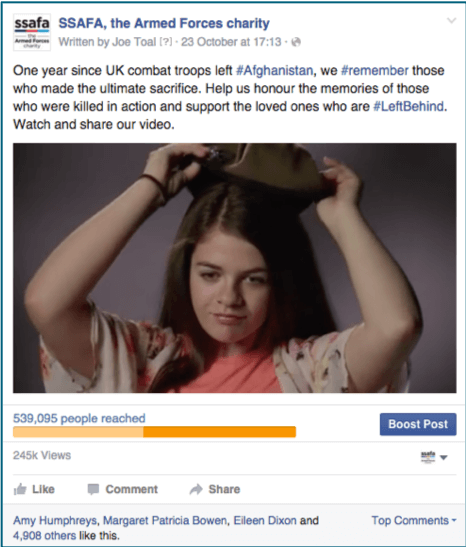 As part of the Left Behind campaign, a series of videos were produced featuring a number of families who had lost loved ones in combat in Afghanistan. Tailored for social media, the key objectives of the videos were to raise awareness of the various families’ stories, and to generate views and social media engagement. The social media strategy took the form of a bespoke sponsored advert campaign across Facebook, Twitter and YouTube over a one-month period. 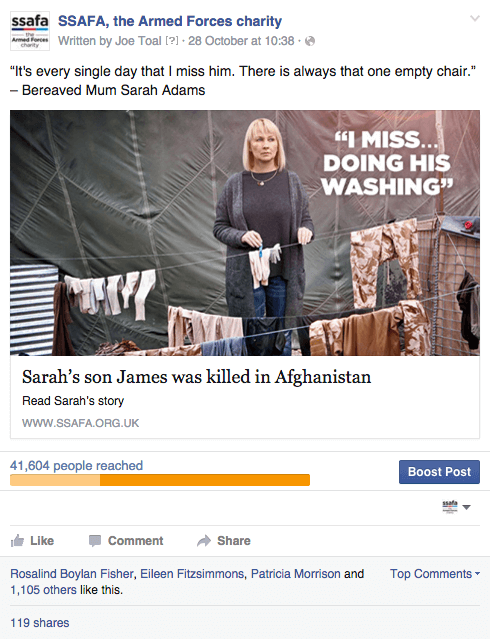 Adverts were optimised for reach and engagement and served to an in-market audience of UK armed forces enthusiasts, those that had lost loved ones in combat and followers of key armed forces channels and fellow charity pages. During the campaign, we amassed 740,000 video views across the social media channels. From a wider engagement perspective, our posts throughout the campaign secured a total of 12,000 shares on Facebook and Twitter, and over 46,000 individual likes on Facebook. In total, we reached a total social media audience of 990,000 people. 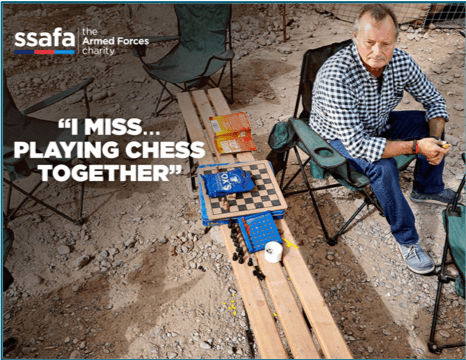 From a wider campaign perspective, SSAFA recorded a significant increase in telephone calls to their helplines, as well as moving up 29 places in the Third Sector Brand index. Are you ready to start a project with us? Contact us and we would be happy to chat about how we can work together.